Runners in the Gobble Wobble Turkey Trot on Thanksgiving braving the cold temperatures, including Dot Martin and Darrel Lasell (photo from Barre Congregational Church). The 2018 series is done and here are final standings, after removing non-volunteers. If you have any corrections or questions about your status, please email Jim Flint no later than December 15. After December 15 results will be final with no more changes. This is set for Thursday, January 24th, so reserve it on your calendar. More details to follow. Remember that CVR member volunteers eat for free! The official volunteer roster is here, if you are not on the list and believe you should be, please email me at andy.cvr@myfairpoint.net. Remember the 2019 Race series starts on New Year’s Eve! The race location is the same as in the past (at the Pavilion). Advance registration is suggested, see the info page here. We need volunteers for the race, please email Race Director Manny Sainz if you can help. The first Winter Long Run will be this Saturday. Meet at City Center in Montpelier. Bathrooms are available. The run leaves at 9:30am so be there ready to run before then. Questions? Contact Jeff Prescott. Here is a good article about the effect of exercise on aging, including the proposition that older exercisers can have the same body as someone 30 years younger. Note that registration for the Unplugged Half Marathon opens on December 3. The race is on April 13 and early registration is necessary to get in the earlier wave and get the best bus times. CVR Fun Runs done for the season, will be back in May. Location: Montpelier Rec Path behind the VT Dept. 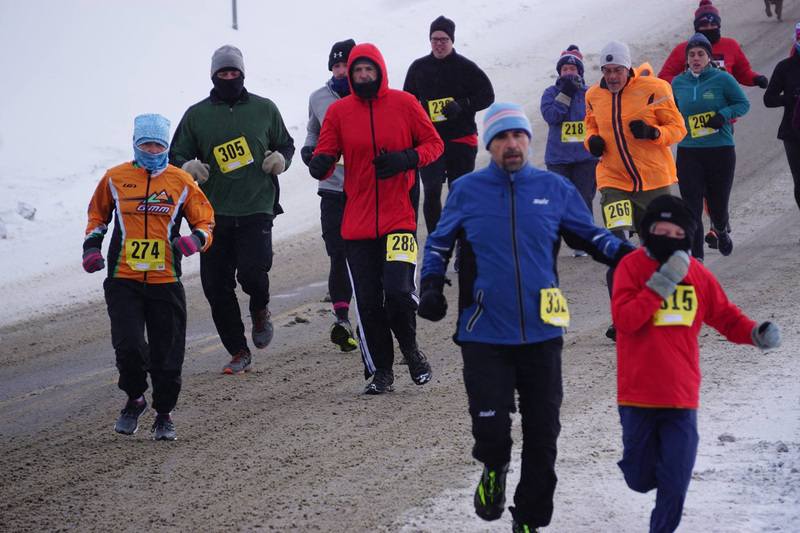 of Labor on Green Mountain Dr.
->>December 31, Resolution Run 5K and Walk, Champlain Valley Expo, 3:30pm (formerly First Run which used to be held on New Year’s Day).